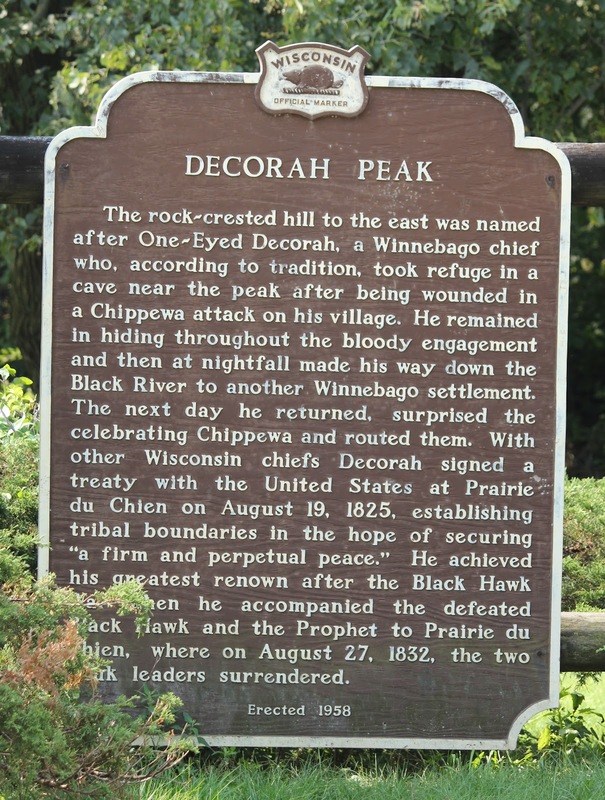 The rock-crested hill to the east was named after One-Eyed Decorah, a Winnebago chief who, according to tradition, took refuge in a cave near the peak after being wounded in a Chippewa attack on his village. He remained in hiding throughout the bloody engagement and then at nightfall made his way down the Black River to another Winnebago settlement. The next day he returned, surprised the celebrat­ing Chippewa and routed them. 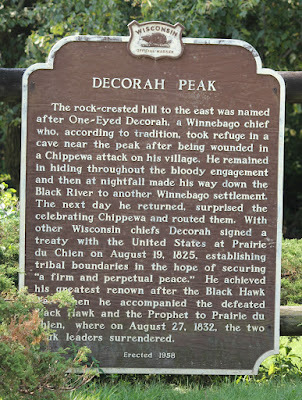 With other Wisconsin chiefs Decorah signed a treaty with the United States at Prairie du Chien on August 19, 1825, establishing tribal boundaries in the hope of securing "a firm and perpetual peace." He achieved his greatest renown after the Black Hawk War when he accompanied the defeated Black Hawk and the Prophet to Prairie du Chien, where on August 27, 1832, the two Sauk leaders surrendered. 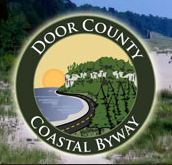 The marker is located at a highway pulloff at Wayside Park, on State Highway 54/93 / U.S. 53, near its intersection with McKeeth Drive and between McKeeth Drive and Hogden Road / Polzin Lane, Galesville, Wisconsin 54630. Signage leading to marker location . . . 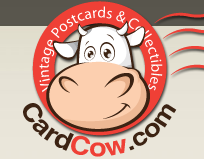 The marker is located in Galesville, Wisconsin.